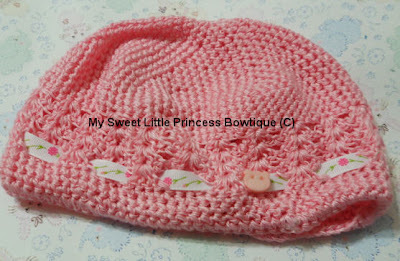 This is a toddler beanie - fits 1 to 8 years old . 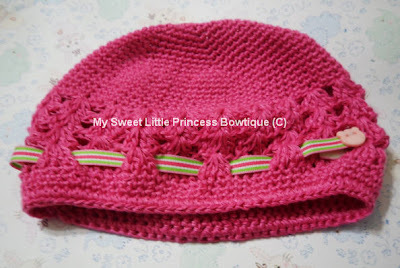 An adjustable ribbon loop has been added to make the beanie tighter so that it can fit a smaller baby. 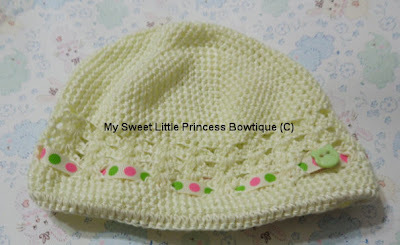 Please provide baby's head circumference to make the adjustable loop. Limited beanies available, pre-order will take 3 weeks.